The Center is periodically offering this class as a community service. Plans are to offer the course as interest is expressed by citizens. Classes are formed as needed by requests from the community. There is a minimum quota of students for the course to be held. It is very much appreciated if players can occasionally bring an unopened food item for prizes. Example: canned foods, sealed cookies, etc. Or any type of cleaning item. Example: Cleansers, dish soap,shampoo, deodorant, etc. OR . 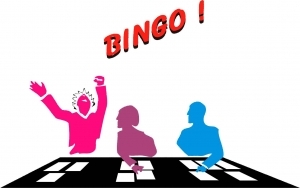 . . Bingo Cards are $1.00. Money is used to buy prizes. All are welcome to join in on the fun. Currently being enjoyed by several. Group is seeking additional players. The Game Room is enjoyed by many during the day on Wednesdays and sometimes on Mondays and Fridays. 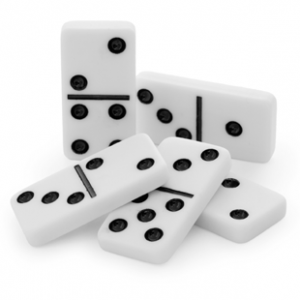 Players interact and participate in such games as Train, Chickenfoot, "42" or whatever they wish. An assortment of other cards and games are readily available. Folks are encouraged to bring their favorites from home and invite others to join in. The Community Center is seeking folks who enjoy playing games and would be interested in forming groups and or playing day or night . Daytime games could be played - 9am to 3pm, Mon-Wed or Fri.
Night games played any night of the week * would need a designated host to open & close building. Some citizens who enjoy playing Bridge are also looking for players. 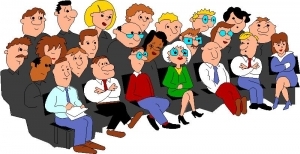 If you know of anyone who will either teach, start up and/or host a Bridge group, please contact the Center. 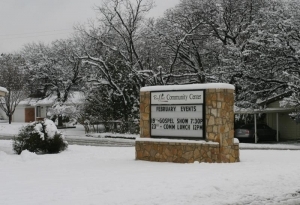 The Community Center hosts various seasonal events throughout the year. Congregate Meal Program - delicious meals served in a home-away-from home environment. $2.00 suggested donation for those age 60 and up. $6.00 donation for those under 60 yrs. Must make a reservation to eat, so that your lunch can be ordered. To order, come by Center or call. 817-732-5885 After hours, please leave a message. In 2007, Senior Citizen Services ( now Sixty & Better) served more than 5000 seniors and provided 244,000 hot, nutritious meals and other services to elderly participants in thirty senior centers scattered throughout Tarrant County. These meals provide 33% of the daily Dietary Reference Intake for senior adults.We know that a large proportion of all our participants consider the congregate meal their most important source of nutrition in helping them to avoid nutritional risk. Mission "To help older adults build a brighter future for themselves and their community by enabling them to live independently with dignity." Sixty & Better, is a non-profit organization that provides a wide range of programs and services that enable senior adults to live independently with dignity. Founded in 1967 with one senior center on Hemphill Street, the agency has grown to thirty (30) centers located throughout the county. One of the major programs of Sixty & Better is the Congregate Meal Program which has provided 235,500 delicious, nutritious hot meals to 6,000 seniors at the area senior centers throughout the year. 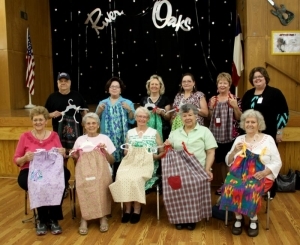 Opportunities for active volunteer involvement in community service are afforded in 150 non-profit organizations through the RSVP program, as well as in the senior centers. The 2,348 volunteers have donated 262,363 hours of service to the community. The programs were created to provide services that address the nutritional, physical, informational/educational, and social needs of the seniors facing aging and isolation. Sewing Class Needs You ! 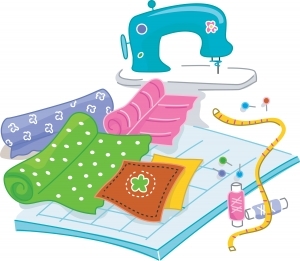 If you have any material, thread or sewing supplies that you are not using, they would be gladly accepted and used to put happy smiles on the faces of a lot of little girls.� Cash donations are also gratefully accepted. Group will do various types of needlework. Instruction could include Crochet and simple sewing machine projects. The Class has made and donated numerous dresses and clothing sets to area children using generously donated material and thread. Your help would be welcomed and appreciated. Bring a snack or sandwich if you wish. Join friends and neighbors to get informed of current happenings in and around the city. Several meetings have been held to allow residents a chance to ask questions and participate on improvements that are in the planning stages for River Oaks Blvd. The City of River Oaks usually places notifications in the River Oaks Newspaper and on the City's website when a meeting is to be held.